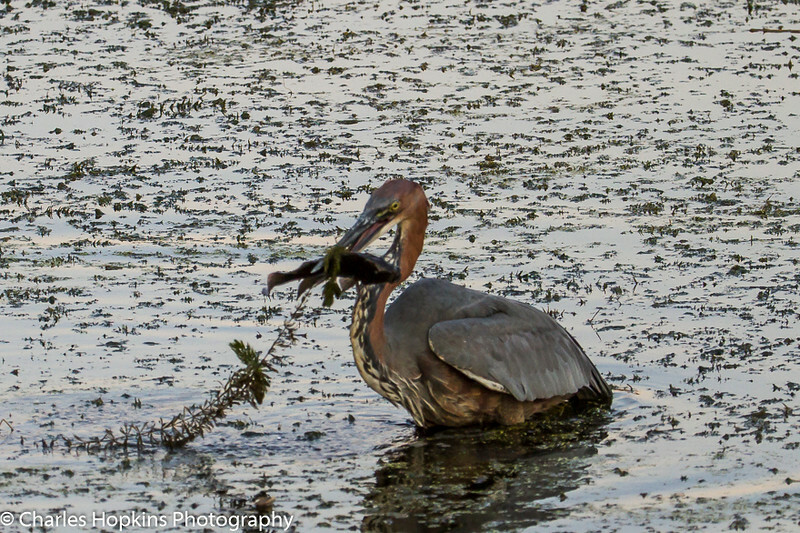 Goliath Heron gets its fish with fresh green salad. This sequence of pictures was taken late in the afternoon sun just when we needed to pack up so that we could get back to camp before gate closing time. We had watched this Heron stand around at Sweni dam for three days prior to us being able to finally capture it making a successful catch.